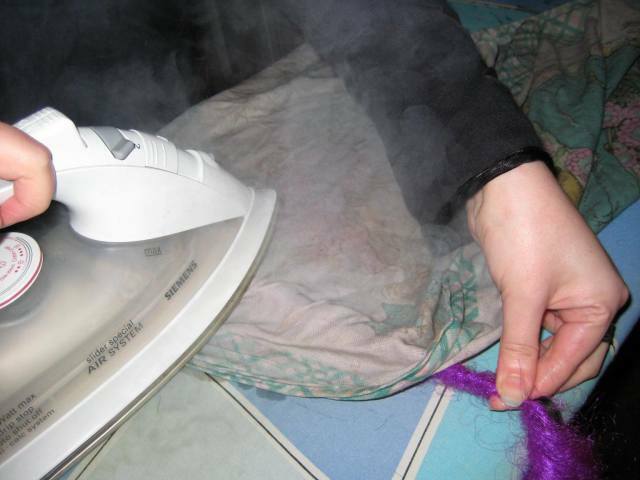 I just found this old tutorial showing how to make dreads with the iron-method. 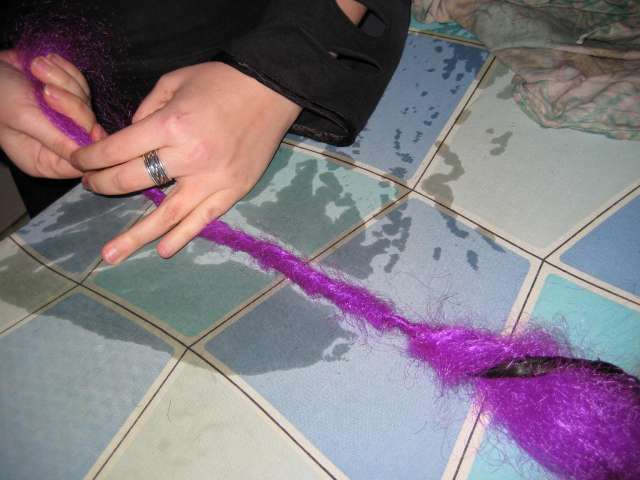 In this tutorial you can se how Morgana from http://www.MadameLePink.dk makes her dreads. 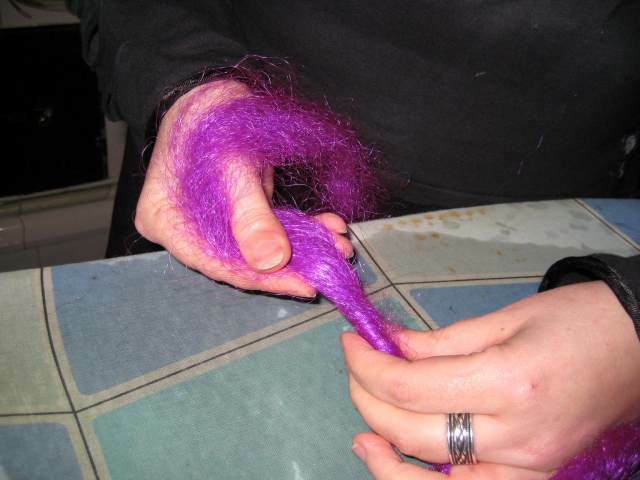 1) First you take a section of the kanekalon-fibers, depending on how thick you would like your dread to be. 2) Then you go to your workspace. 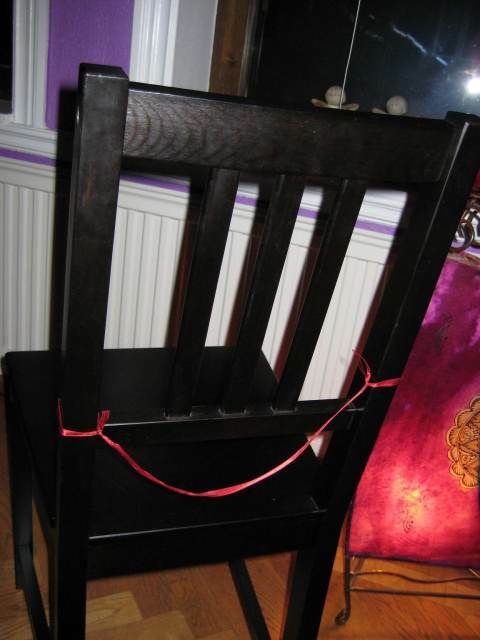 Here's a string on the back of a chair, but there's many ways of doing this. 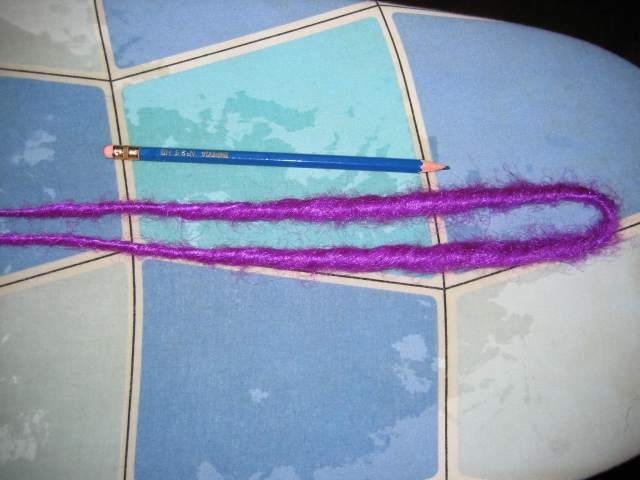 3) Fold the fibers in half and secure the end your not workning on. 4) Start back-combing working your way to the tips of the dreads. 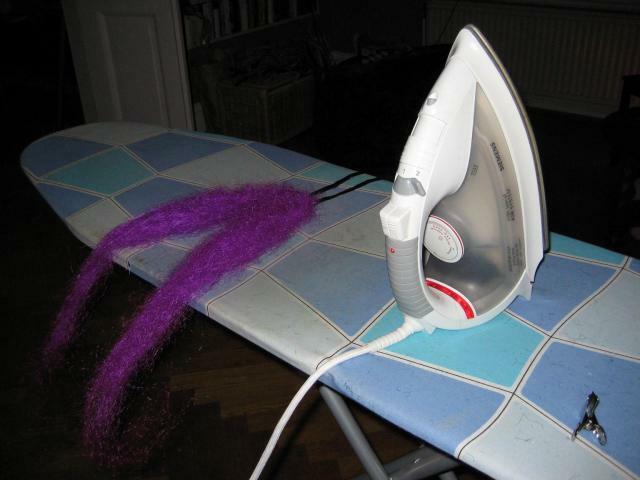 5) Make sure the back-combing is even and not lumpy. 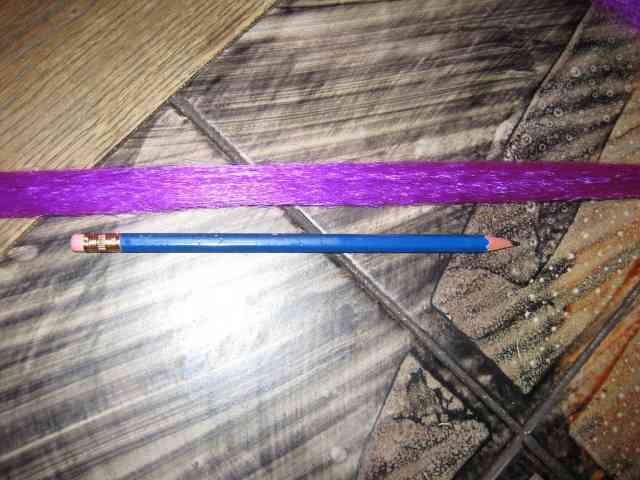 6) Now secure the back-combed part, and work on the other end, so the hole dread is back-combed. 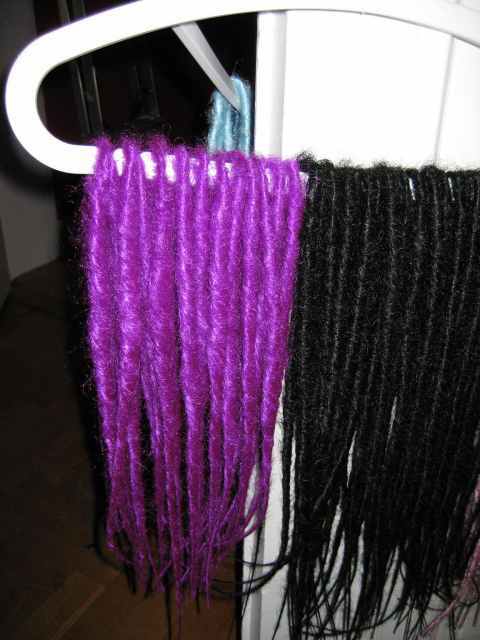 7) Now the dread should look something like this, and is ready for sealing. 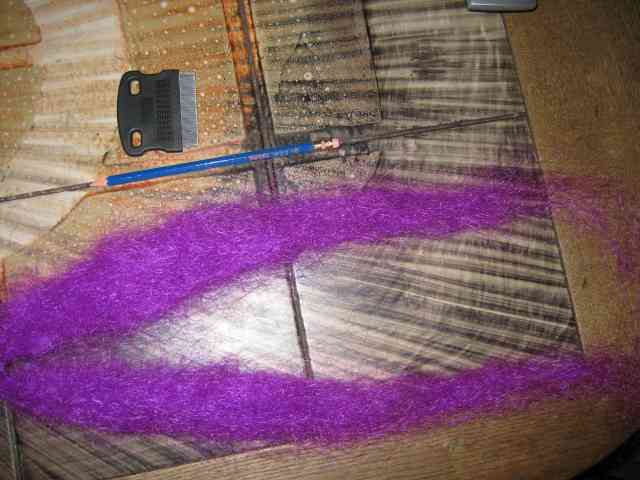 8) Now the dread is all ready to be sealed, and again you work on one side of the dread at thetime. So secure the dread. You will need a steaming iron and a bull clip. 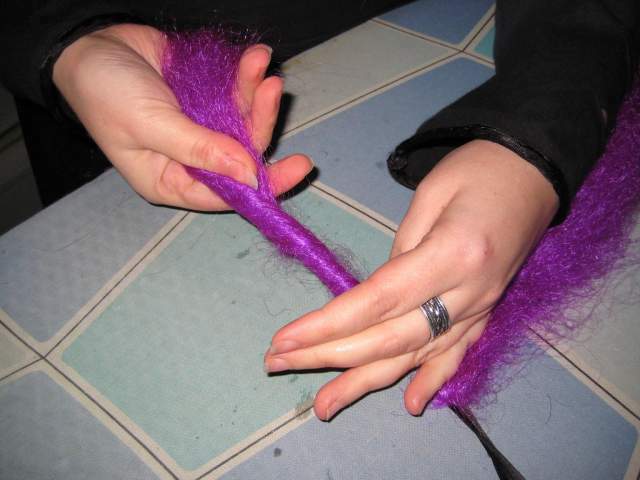 9) Working on one half of the dread, twist the fibers by twisting the dread. 11) Now pressing up against the board, holding the twisted dread in place with your body, cover the dread with a damp cloth, and steam the dread with a rolling motion. 12) Working your way down the dread, but making sure not to burn your belly. 13) The tip of the dread, that was folded over the edge of the board holding the dread in place, now needs to be sealed. Move the dread to make space for it, then fold and twist it. 14) Again holding the dread in place by pressing your tummy against the board. 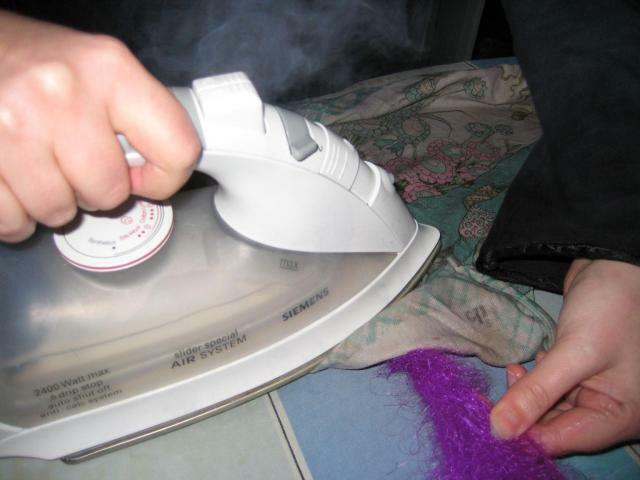 15) Again put the damp cloth over the dread and with a rolling motion use the steaming-iron to seal the dread. 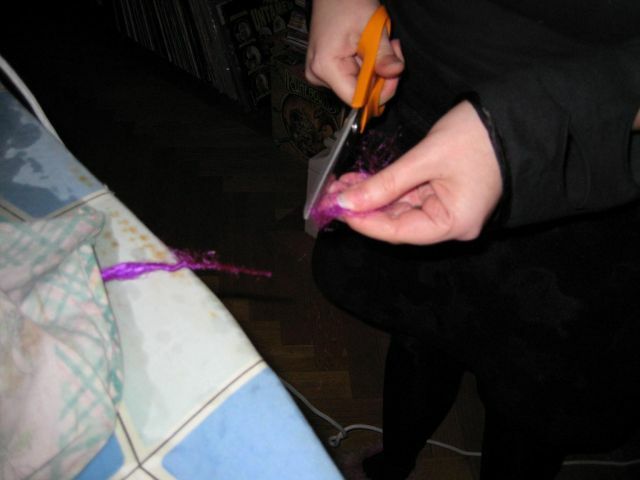 16) Now its time to seal the tip of the dread. Twist the tip hard and secure it with a bull clip, so you don't burn your fingers. 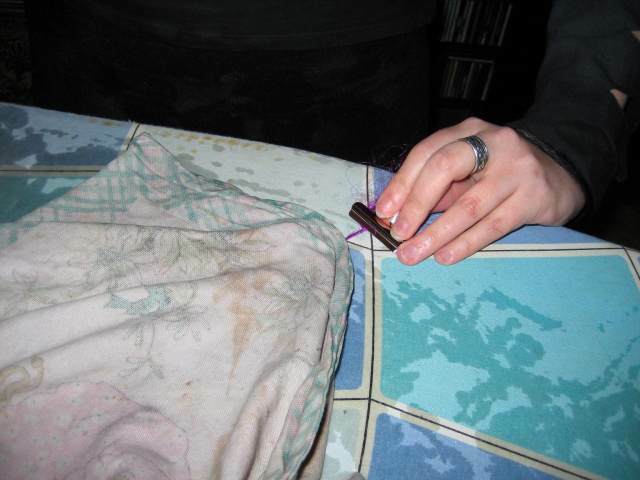 17) Place the tip of the dread on the board and cover it with the cloth, but leave the top inch uncovered. 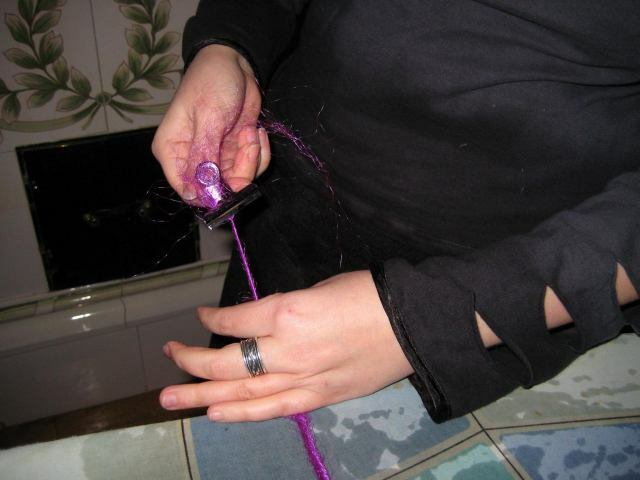 18) Seal the tip of the dread, the same way as before, going over the very tip directly with the iron. 19) Now the tip is sealed. 20) Snip the tip with a pair of sissors. 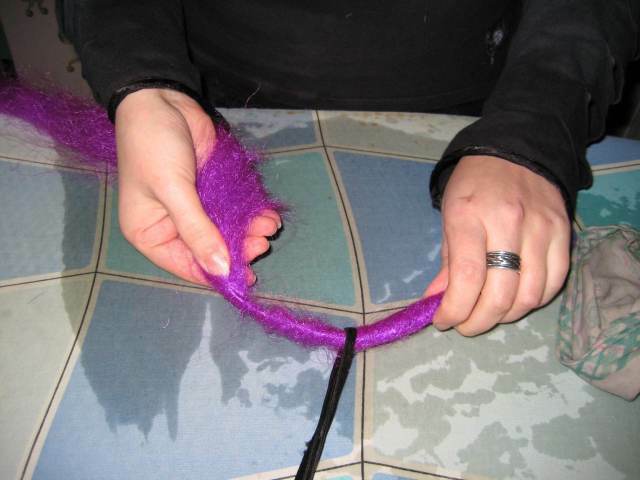 21) It should look something like this, a bit lumpy, but now you go over the hole dread a last time. Cover it with a cloth. 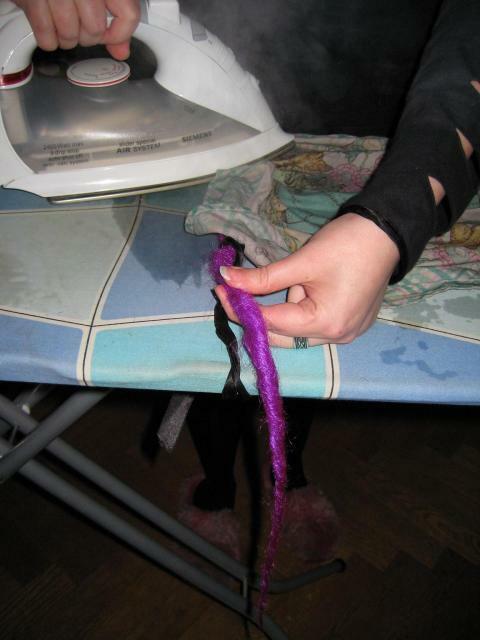 22) And a last time ironing, the dread will be evened out - half done! 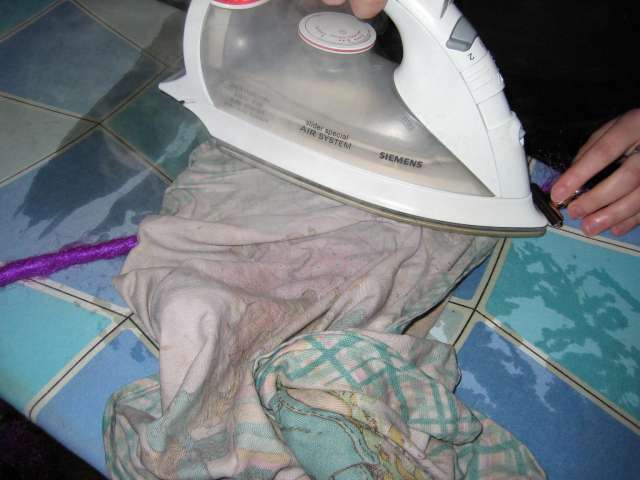 25) Cover with cloth and seal with steam and heat from the iron. 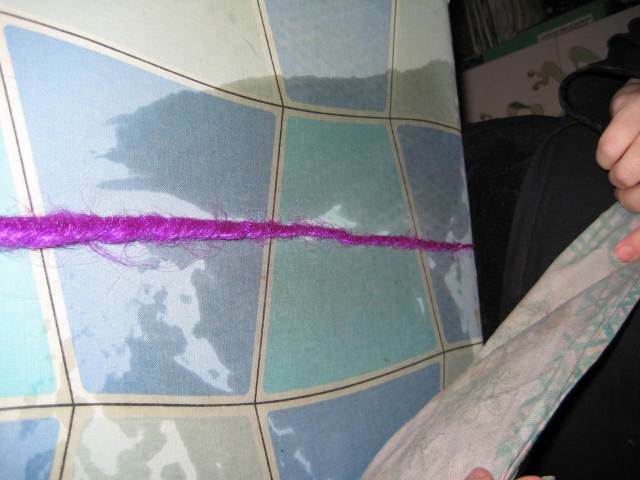 26) Now the dread is finished, and here's the result. What kind of backcombing device is that o_O It looks like it works well AND is supercomfy! Is it pet brush or something? Its a dog brush used to pick fleas out of the hair.. 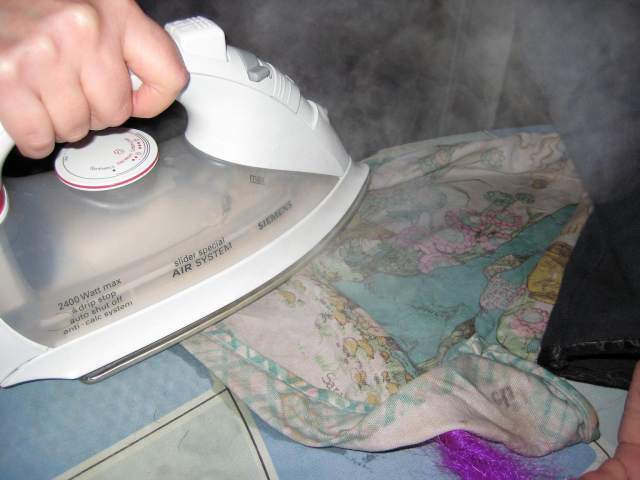 I also found that by placing a small desk fan in the opposite direction to where the steam blows (eg my iron is to my right, used by my right hand so the steam burns my left hand) it blows the steam back on itself and so stops you from buring your fingers!! I am using this method right now. However, they look to perfect to me lol. I want them to look more natural. Will they loosen up if I put them in the dryer? or should I not twist them that hard?